Sports Massage is a form of treatment for those that are suffering from muscular tension, whether that tension, was created through occupational strains, sporting activities or daily stresses, Sports Massage is for everyone. Sports Massage involves massage and stretching techniques with a focus on increasing circulation, lymphatic drainage, reducing inflammation and aiding the body’s natural healing process. Although contrary to common misconception, Sports Massage doesn’t have to be painful in order to effective. Quite the opposite Sports Massage shouldn’t be painful. It can however be uncomfortable at times as the area upon which the therapist is working, is usual dysfunctional and therefore tender so any work in the area will be uncomfortable but should be bearable, if not you must speak up and inform you therapist. Massage is recorded as one of the earliest forms of manual therapy and was used over 3000 years ago in China, today Massage still appears to be one of the most common and effective forms of treatment for muscular tension. Whilst medication can help relieve pain it doesn’t focus on relieving the cause, so ….. carry on taking paracetamol, ibruphen, co-codamol etc? or help your body inside and out by stopping the medication and book in for a Sports Massage to target the cause. 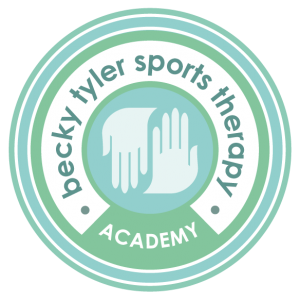 https://btstacademy.co.uk/wp-content/uploads/2018/09/Sports_Massage_Courses.jpg 667 1000 Becky https://btstacademy.co.uk/wp-content/uploads/layerslider/Home-2/bt-sports-massage-acadamy-avatar-300x300.png Becky2019-01-22 18:21:432019-01-22 18:21:43What Is Sports Massage?